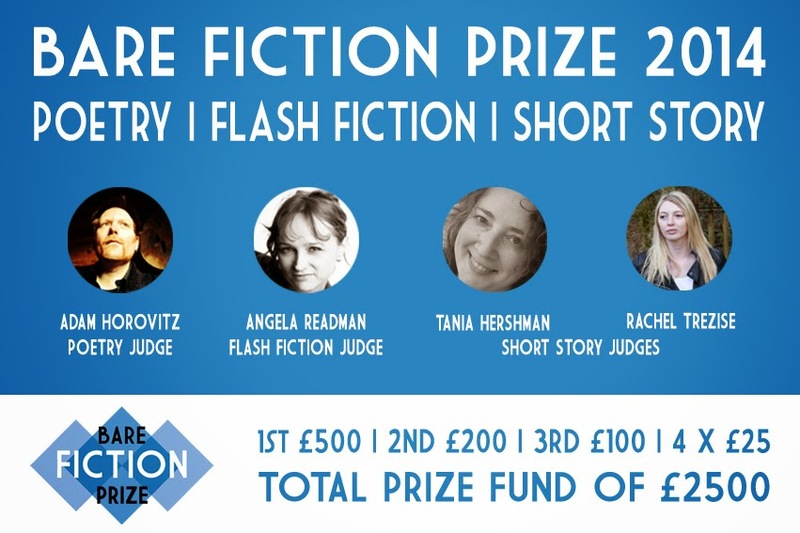 So, I am one of the short story judges for this fine slew of prizes from the very fine lit mag Bare Fiction. The fabulous Rachel Trezise and I will be reading your short stories, and the wonderful Adam Horovitz is all over the poetry, while the excellent Angela Readman wants your tiny wordthings. Do check out the guidelines here. Really refreshing to see the same amount of money to be won in all categories - nothing privilieged above everything else due to form or word count. Nice. And lest you think I spend my time only on the judgemental side of the fence, tis not true, because I'm fortunate enough to have had two poems longlisted for a poetry comp, and they will be included in the competition anthology - regardless of what happens next with shortlists and so on, so yippee! I have said it before, will say it again - longlists are not to be sniffed at. As a judge, I know that it's often the greatest leap from large pile to longlist, and the tiniest of steps from that onwards, so I am delighted! Good luck to everything you bravely send out into the world! I would be delighted to read some of it. Alison Moore, author of The Lighthouse, called That Dark Remembered Day "a compelling story about damage done, a touching exploration of the possibility of forgiveness and recovery" and Anthony McGowan, author of Mortal Coil, said: "Almost every page has the sort of perfect sentence or paragraph that makes you want to elbow the stranger next to you on the train, point with a stubby finger, and say: ‘Read that. Just read it.'" A son returns to where he grew up, where his mother still lives and where a terrible event in his childhood changed the lives of every person living there. As the story unfolds through the eyes of the son, the mother and finally the father, the reader experiences the taut build up to one day's tragic unravelling, and the shock waves that echoed through a once happy family and close-knit community. Will they ever be able to exorcise the damage of that day or do some wounds run too deep? Tom is giving away a copy to one lucky blog reader - just leave a comment below! Here's a little bit about Tom: " Tom Vowler is a novelist and short story writer living in south west England. His debut collection, The Method, won the Scott Prize in 2010, and his novel What Lies Within received critical acclaim. 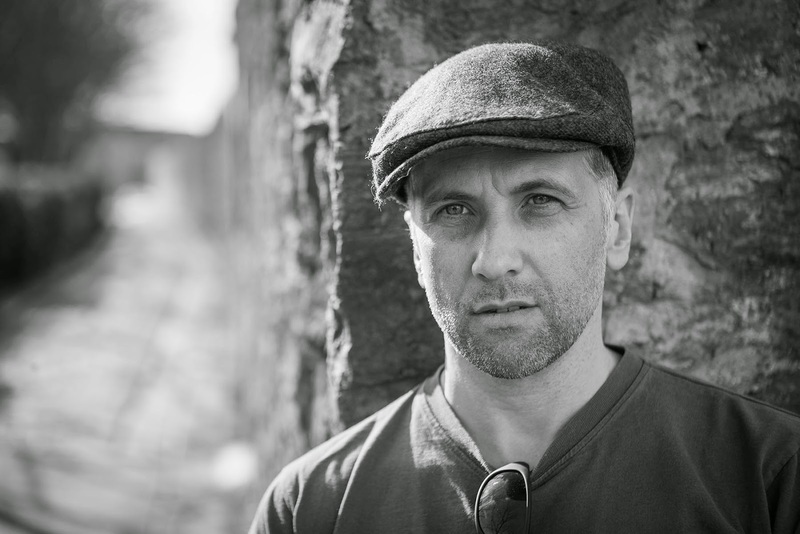 He is co-editor of the literary journal Short Fiction and an associate lecturer in creative writing at Plymouth University, where he’s completing a PhD looking at the role of the editor in fiction. 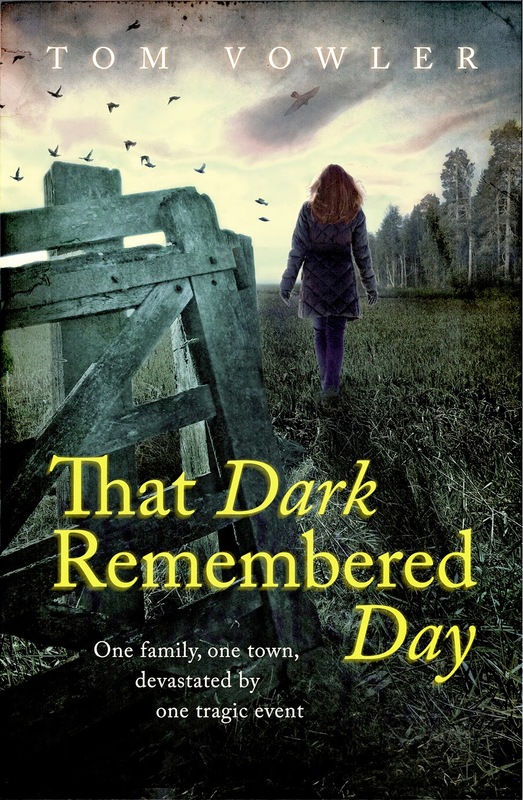 That Dark Remembered Day is his second novel. More at www.tomvowler.co.uk"
Betrayed in childhood. Forgiveness sought. Broken forever. New one found. Intrigued? You should be! To find about more about Tom's amazing novel, visit his website. Don't forget - to be in with a chance of winning a copy, leave a comment below. Thanks for playing, Tom! I'm really thrilled to have a brand new story, "War Games" in the Summer Fiction issue of the Wales Arts Review, published today. It's a story I started in Nov 2012 and finished a few months ago, and I'm so happy it's found such a great home, alongside an amazing line-up: Anna Metcalfe, Jon Gower, Gee Williams, Orflaith Foyle, Lauren Oyler, Joel Smith, Noah Cicero, Mark Blayney, Ric Bower, Craig Austin, John Lavin and Gary Raymond. Check out the magazine here. I was also recently longlisted for the Short Fiction journal competition for another new story, congrats to the 4 shortlisted writers: Elizabeth Baines, Catherine McNamara, Geoffrey Miller and Graham Mort! And the past month has been a great boost for a fledgling poet - I had two poems longlisted and one shortlisted for the Wirral Festival of Firsts poetry competition, and my pamphlet longlisted for the Flarestack poetry pamphlet prize. Have been grapping with the poetry "no simultaneous submissions" rules for many comps - someone needs to come up with an algorithm for this! - and sending the poems back out, and out again. For, as I said recently on Twitter, this much I know: if you don't send anything out, magic can't happen. Go on, give the magic a chance!